Imagine, if you can, that in order for you to raise your child you would need a government license and in order to get that license, you had to undergo psychological evaluations and background checks to determine your fitness to be a parent. How would that make you feel? Who would ever dream up such scheme? 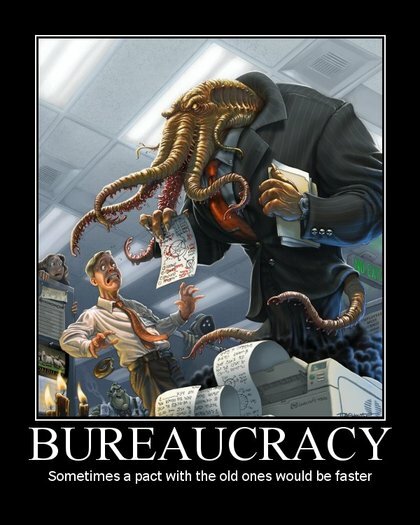 Marxists, Gender Theorists, Population Control Freaks, Meddlesome, brain-dead bureaucrats? The answer, of course, is all of the above and it has been on their plates for decades! While normally kept below the radar, every once in a while this tyrannical idea is dusted off, dressed up and represented to society as a magic elixir. In 2016 Andrew Cohen, a philosophy professor posted his “enlightened idea” on Bleeding Heart Libertarians, a website that pushes its views as searching for common ground between free markets and social justice. Caregiving, Cohen writes, is a ‘service’ like practicing medicine or law. Well, actually, he doesn’t think that medicine or law should be licensed since adults should be free to make their own choices. Doesn’t it sound like Cohen is lapping water from both sides of the bowl? But not to worry – he has an answer for that too. Unlike adults, he writes, children can’t make their own choices therefore the state, that all-knowing benevolent bureaucratic loaded behemoth, must step-in to dictate lifelong relationships of all vulnerable beings. On what criteria would the state base this licensing requirement? Cohen says the first and biggest criteria would be financial. Any birth to those of lesser wealth, i.e. the peasants, those the state deemed below a level of income sufficient to raise a child, would see their child removed and either raised in a much more satisfactory state institution or doled out to richer or better connected people, the elite. The second hurdle and perhaps the most damning would be psychological testing to predetermine whether or not you would make a good parent, all based on criteria established by some faceless, unelected fascist government bureaucrat. Anyone else see a problem? Requiring parents to have a license to raise their own children would put the state in a position to dictate all family relationships and, in the end, all human relationships, which no doubt is the left’s ultimate goal. By controlling parental rights, the left ultimately eliminates the family institution as a buffer zone or mediating institution between an individual and state power. Families, the ‘little platoons,’ as Edmund Burke called them, decentralize power away from the state, which is a good thing for anyone who values individual liberty. Undermining or in this instance, eliminating the family and its moral underpinnings atomizes individuals, leaving them to face the state alone. This sort of social engineering, totally devoid of love, is mind-blowing to anyone with common sense and should be anathema to real libertarians. It puts people like professor Cohen in the company of totalitarians. Control freaks will always be among us but the alienation and chaos that comes from the breakdown of family and community; the complacency that comes from easy dependence on state largeness; the ignorance that comes from conformist thinking; and the self-absorption that comes from a culture of nonstop sexual indulgence, gives control freaks much freer reign. Centralizing such power is the hands of the state is an evil and nasty thing to play around with. We need to reject this whole bogus monstrosity and throw it squarely back onto the ash heap of history, from whence it came and where it belongs – FOREVER! ← Christianity Impacted Slavery, Science, and Shakespeare!